We offer several possibilities for professional riding courses either in Reykjavík or in the countryside. Ideal for those you who want to learn a bit more about the tölt and the Icelandic way of riding before going a longer tour. Stay as a guest on a horse farm with insight into the daily work of the Icelandic horse trainers. Also in combination with multi day leisure rides. We only offer fully licensed instructors. Included: Horse, helmet and 70 min with a riding instructor. Please note: Transfer to/from the stables is not included but can be arranged. Prices depending on trainer, duration and number of participants. Please contact us for further information. A personalised riding experience on well-schooled Icelandic horses with fully qualified instructors - all are graduates of Hólar University / School of the Icelandic Horse, all are members of the Icelandic Horse Trainers Association and hold judging qualifications. Sessions to suit your individual skills and needs - familiarising you with the Icelandic horse, or increasing the knowledge you already have. Ideal preparation for a longer horse-back trek in Iceland or for those eager to learn more. Sessions are never more than two riders; one-on-one training by arrangement. We offer instruction on both 5- and 4-gaited horses. Both indoor and outdoor arena and a oval track only a 15 minute drive from central Reykjavík. Transfer on request (public transport, taxi or private transfer) from Reykjavík area. Lessons available in English, German, Danish and Icelandic. Please note: Transfer to/from the farm is not included but can be arranged. Duration: 2 days, 1 nights - longer stay possible on request. Ideal for those you who want to learn a bit more about the tölt and the Icelandic way of riding before going a longer tour. But also a perfect way to improve your general riding skills while staying as a guest on the farm with insight into the daily work of the Icelandic horse trainers. Our partners for this course is a family where practically every member is connected with Icelandic Horsemanship. Jónas Jónsson og Sigrún Ísleifsdóttir have been very successfully breeding horses at their farm since 1965. Their children Eyrún Jónasdóttir and Ísleifur Jónasson together with their spouses and children have been building up fantastic premises for training and teaching. All of them have been competing successfully in the recent years and are well known for their professionalism in Iceland and abroad. Probably a little bit of heaven for every horse mad person to be able to spend time with this wonderful horse family! Lessons available in English, German and Icelandic. Tues–Fri: You will continue to work with your 2 horses (each horse 1–2 times a day) and receive 1 lesson daily (you'll choose which of your 2 project horses to take the lesson on). Friday: We will reevaluate your project horses together. 5 days (6 nights) riding lessons with the well known trainer and riding instructor, Guðmar Thor Petursson, who has been on or around a horse almost every day for the past 30 years. With the goal of promoting the Icelandic breed in America, he moved to Louisville, KY, where he operated a training station for about 10 years. . Although he now resides primarily in Iceland, he travels extensively across the US to teach riding instruction clinics. Student trainers will train independently but alongside and under the supervision of Guðmar and his sister Linda (also a professional riding instructor). They will be training at the same time and give you tips and feedback, as needed. At the same time, you'll have the space to figure some things out for yourself. Student trainers will receive daily riding lessons, 2 project horses (including tack), lodging at Hestaland Guesthouse for 6 nights and daily lunch. Please note transfer to the stables/farms is not included in our tours/lessons but can of course be arranged. For the farm stays we recommend a rental car. We are also more than happy to arrange your accommodation in Reykjavík. Included in regular 3 day package: 3 riding lessons and a short countryside ride. Access to private gym. Breakfast and 1 two- course dinner included. Lunch and extra dinners can be booked and paid for on site. ​Accomodation: Double rooms with shared facilities in a two bedroom apartment. Duration: 3 days, 2 nights - longer stay possible on request. Group size: Private groups of 2 riders. Bigger groups upon request. Riding skill: Beginners and experienced riders up to competition level. Riding gear and helmet provided. Ideal for those who like to travel individually around Iceland and would like to incorporate some riding! Our partner and host for this course are Ísólfur and Vigdís. Ísólfur trained at Hólar University as a riding instructor with excellent grades and taught at Hólar himself from 2007 until 2010 when he moved to his newly build riding premises in the beautiful Víðidalur in North Iceland where the family breeds and trains horses on a high level. ​The farm is situated close to Hvammstangi town, approx. 200 km from Reykjavík. Great facilities! Lessons available in English and Icelandic. This tour is 3 days/2 nights. You can add extra nights and extra riding. Additional: Hiking and fishing tours from the farm. Please book directly at the farm. A min. number of participants may apply. Please note for all tours mentioned above: Transfer to the stables/farms is not included in our tours/lessons but can of course be arranged. For the farm stays we recommend a rental car. 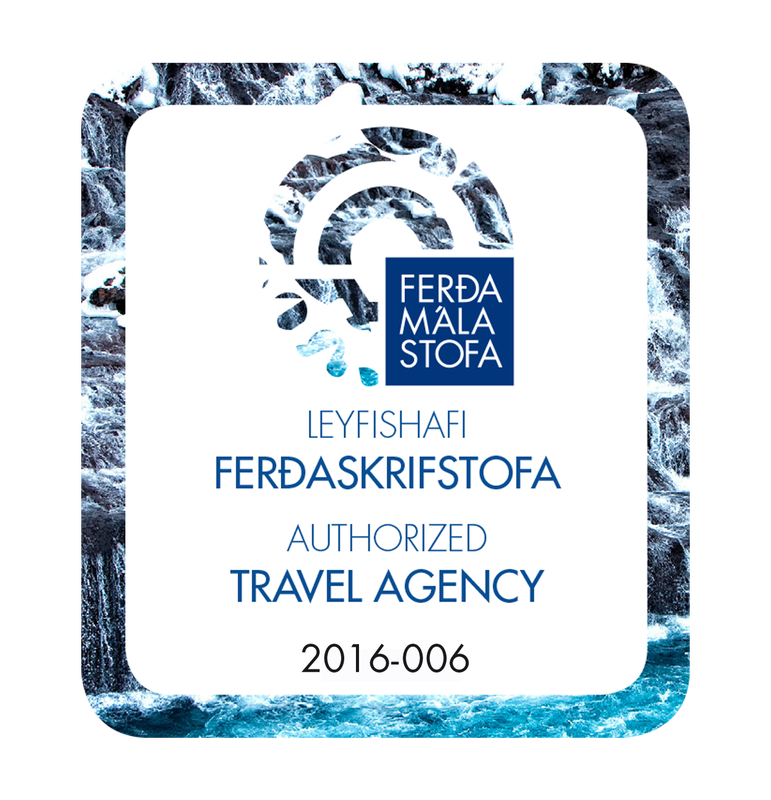 We are also more than happy to arrange your accommodation in Reykjavík. Why not combine riding lesson with one hour riding? We start with a 40 minute riding lesson where we learn how to handle the horse, how to ride Tölt etc. After a short rest we continue with a one hour ride in the beautiful nature. A perfect combo for horse lovers! - Lessons in English, Danish or Icelandic. Included: Guided bus tour, visit to two horse breeding farms. 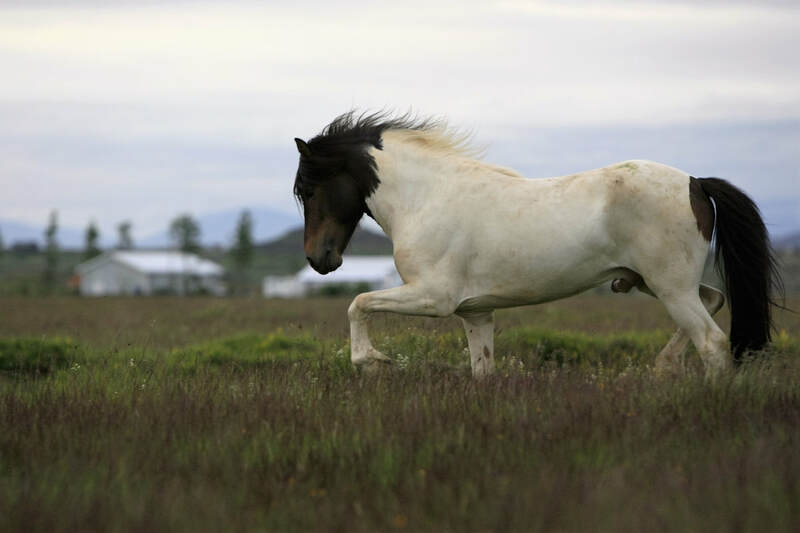 ​For all the horse lovers who would like to visit some of Iceland´s most famous breeding farms! Great opportunity to meet the breeders and trainers behind some of the most famous stallions in Iceland. Winter and Spring time is a busy time for Icelandic Horse breeders. The stables are full of promising youngster waiting to be evaluated by the breeding judges. To watch an experienced trainer work with the upcoming stars is a fascinating opportunity for everybody that is in love with Icelandic horses. On the way back stop at the Secret Lagoon, a natural hot spring for a relaxing bath in the wonderful geothermal water and/or a truly Icelandic Langoustine feast. Today leading hand horses is an acknowledged training form mostly used to teach horses forwardness and to bring more freedom into their daily training. Being in each other’s company the horses feel more secure. For this reason leading hand horses is often training young horses. This is also used today by riders travelling around the country in summertime leading one or more hand horses. Now you can experience the Icelandic tradition of leading a hand horse and the feeling is amazing! Available from May - September.